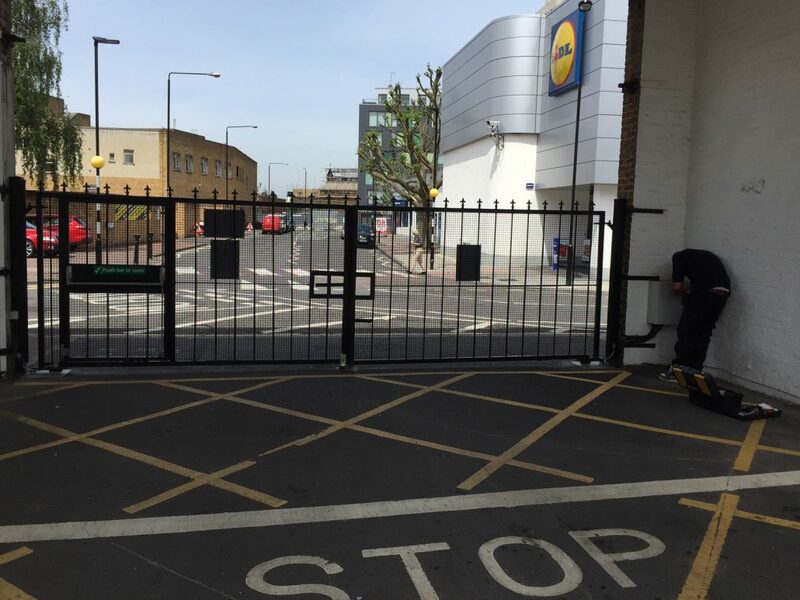 Badly designed or installed automatic gates have the potential to cause significant injury. Like cars or any machines we use regularly every day, there are dangers. But we know how to look both ways when we cross the road or not to drive too quickly in the wet. Modern cars also have airbags and anti-lock brakes. Gate automation is the same. If you don’t know how to use it safely and it’s not built with safety features, it could be dangerous. 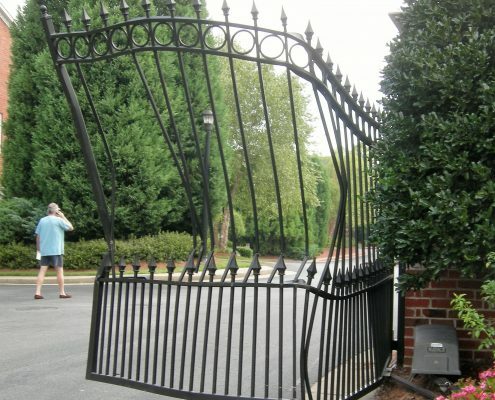 If you are looking at your first automatic gate system, there are risks you need to know about. So this article gives you an outline of what to look for and how to make sure you have the right installer. 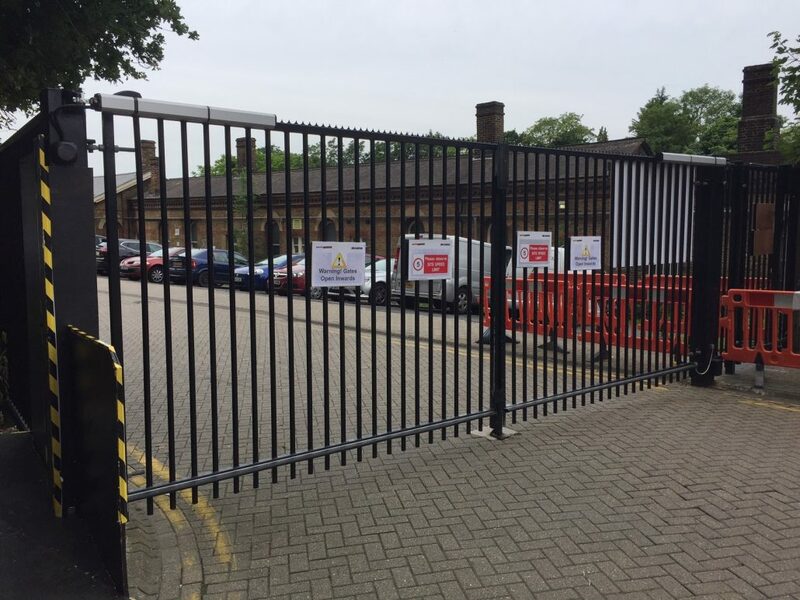 Putting a gate or a pair of gates, automation equipment and other accessories such as safety devices, locks and access control systems together creates a new ‘machine’ from these elements. This new machine needs to be as safe as possible. 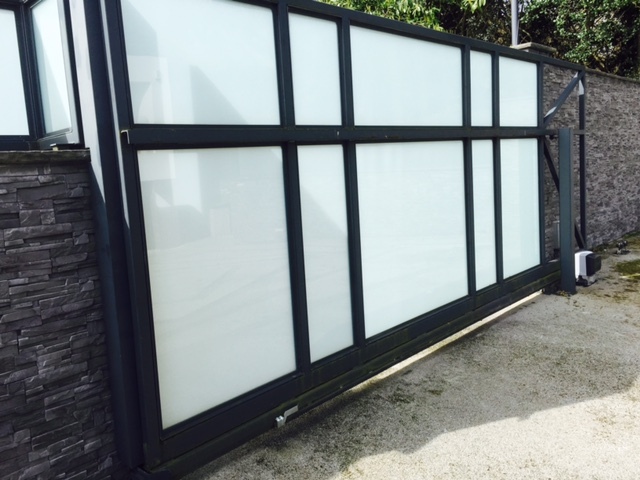 For most domestic installations, gates swing or slide open and closed. This creates a number of potential risks. These risks are based on how each gate moves in relationship to gate posts, other gate leaves, fences, walls and railings. Before any gate automation system should be put together, a safety audit should be carried out to try and identify the potential risks. Educate users to the potential dangers and how to avoid them. 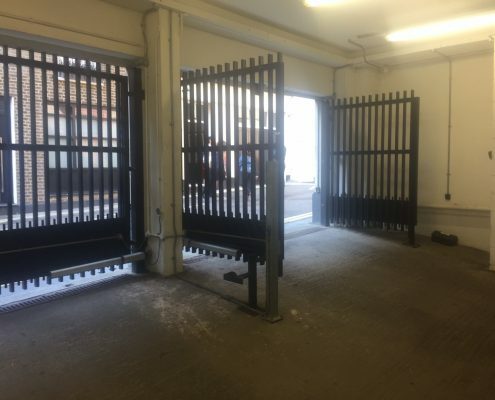 Unfortunately, there are times when a gate will be used or approached by people without knowledge of the risks and how to avoid them, so preventing physical access to the risk areas is always preferable. 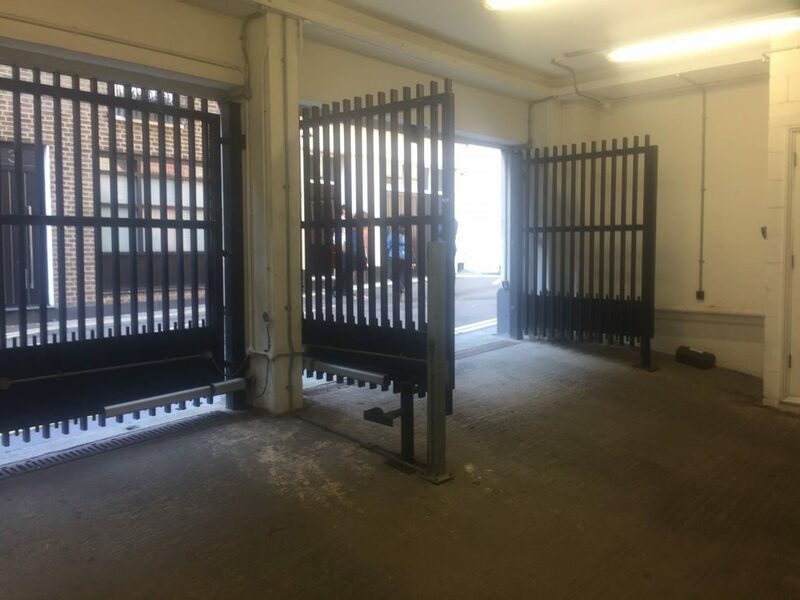 There are British Standards (BS) that describe the minimum requirements for a safe automatic gate system. As Type 1 gates are controlled and operated by trained users, they are not covered in this safety notice because the gates are not located in the vicinity of the general public. 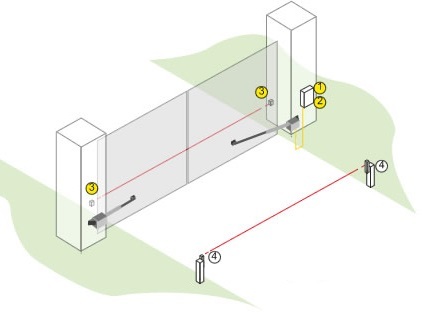 Provide ‘obstacle detection’ that recognises the presence of a person or an obstacle in the area the gate moves through. The Machinery Directive describes what the installer needs to do when creating a new piece of machinery. This covers the paperwork and CE marking that you should receive from a good gate automation installer. 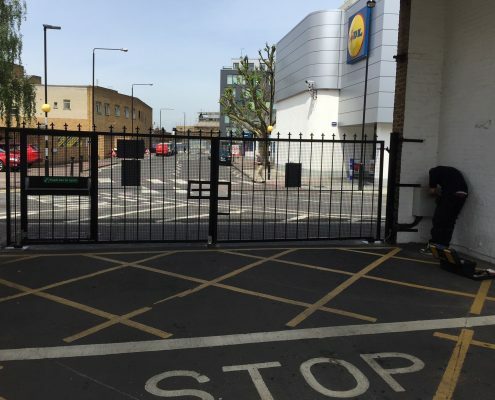 So what are the main considerations for safe automatic gate design? 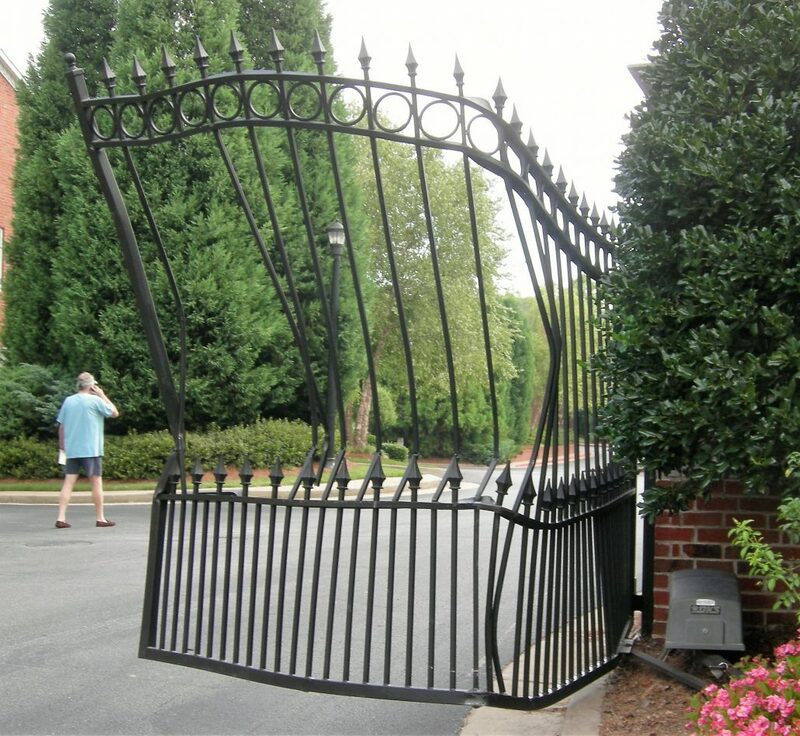 One of the most important considerations is the weight of each gate leaf. A heavier gate needs a stronger force to open and close it. But this doesn’t just mean the force needed to overcome the inertia of the gate itself. The gate will be affected by air pressure on its moving face and this can vary greatly depending on the speed of any wind blowing towards a moving gate. As you increase the force required to move a gate, you are increasing the potential force passed to anything coming into contact with that moving gate. Gate automation motor choices are also important. Pushing the gate open from as far from the hinge as possible requires less force. Ram motors and articulated arm gate motors push and pull the gate further from the hinge than underground motors. This means that they require less force to move the same gate than an underground motor does. Articulate arm motors also present a risk due to their design. The articulated arm creates a gap between itself, the gate post or pillar and the closed gate. As the gate is closed, this gap closes up. The hinge end of swing gates creates a gap between the gate and the post which must not be big enough for anyone to put their arm or leg through. As the gate opens, the gap between gate and mounting can close up. Sliding gates with open spaces in their design can create risks if they slide open against railings. 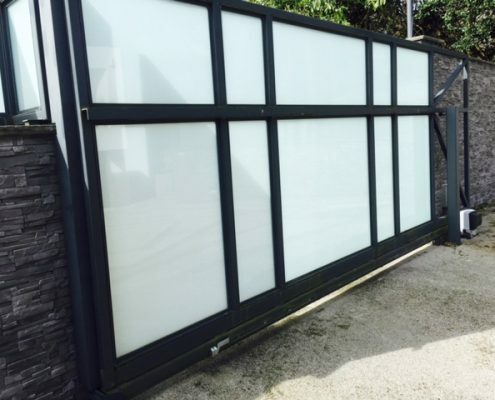 The leading edge of a sliding gate can also create risks where it slides past posts, pillars or edges of walls etc. Any safe automated gate system should include a manual release that disconnects the motors and allows gates to be moved by hand. All users of the gates should be taught how to use the system and where manual release keys are kept. 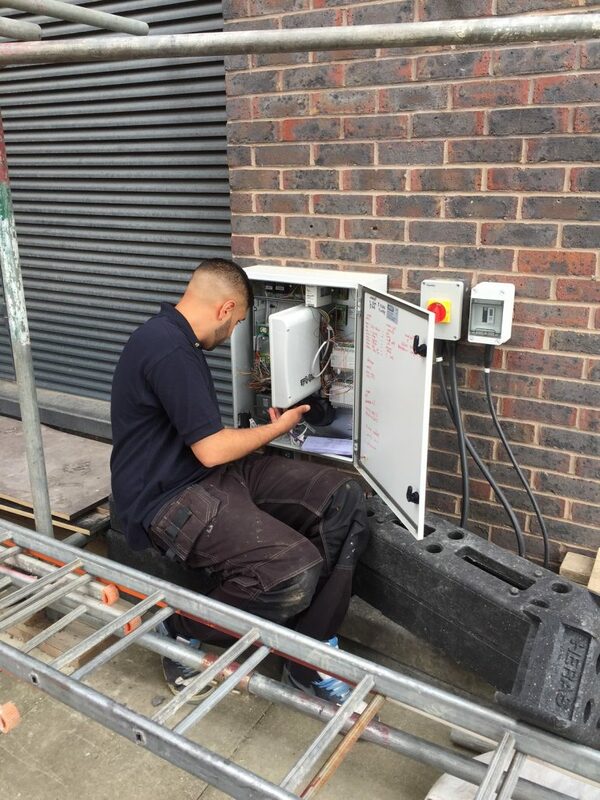 Your gate automation installer should deal with all the potential risks with a thorough safety audit. This looks at each potential risk in conjunction with how the gate will be used. 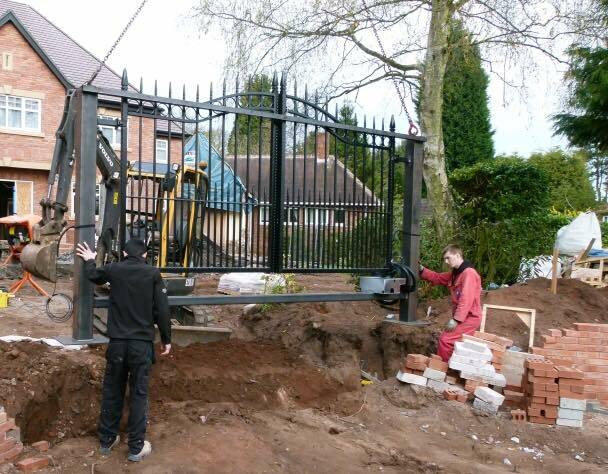 Your installer should bring the proposed gate design, choice of gate automation system and user knowledge together. They should then apply the Standards and recommendations to design a safe gate automation system for you. Step 1: How the gate will be used. Step 2: What the potential risks throughout the lifetime of the system are. 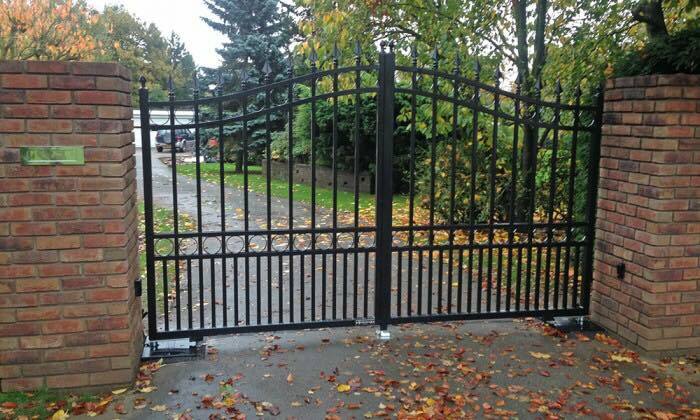 A gate automation system can be dangerous if designed and installed by unqualified, inexperienced or uncaring gate automation engineers. 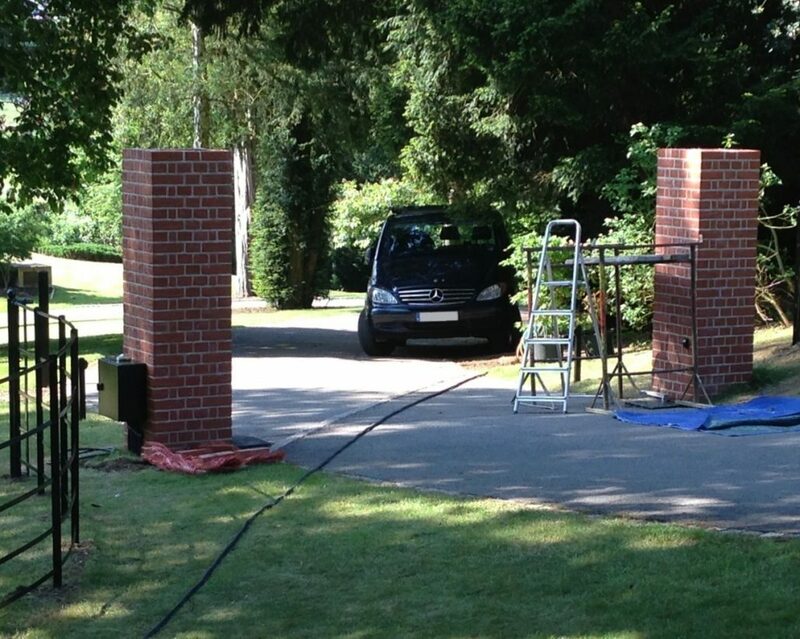 However, safe automatic gate systems are installed every day all over the world by professional installers. 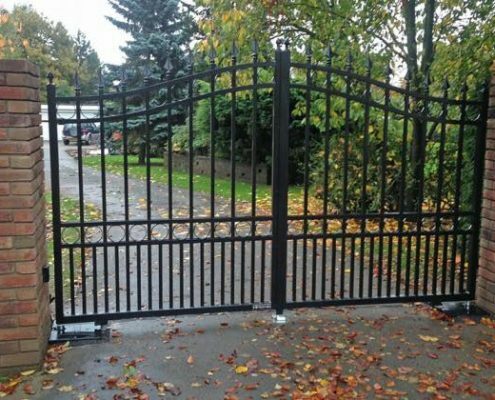 When you’re looking for a gate installer, use this article to help you to ask them questions about gate safety. 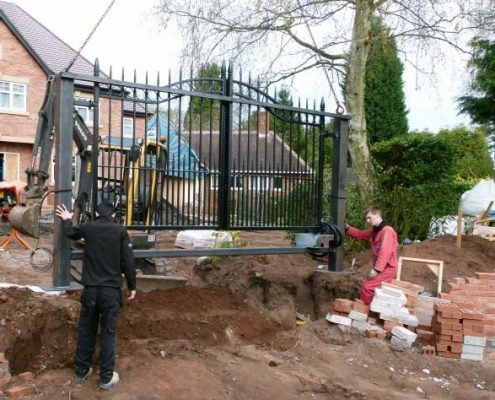 Make sure you have an installer who understands the risks, talks to you about your use of the gates and applies the recommended risk prevention measures. 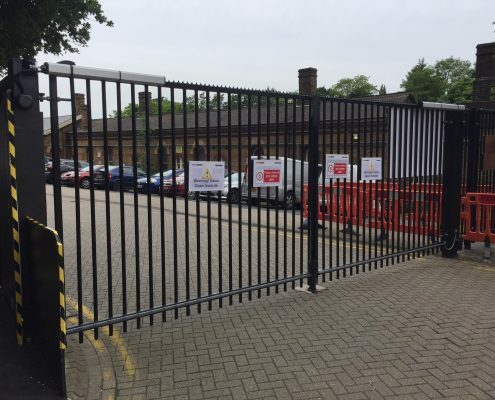 We regularly install new automated gates and carry out automatic gate repairs and gate servicing for customers throughout Central and West London, Berkshire, Hampshire, Surrey and Buckinghamshire. This is just a small sample of photos taken on recent jobs places like Slough, Maidenhead, Windsor, Beaconsfield, Ealing, Hampstead and Central London. 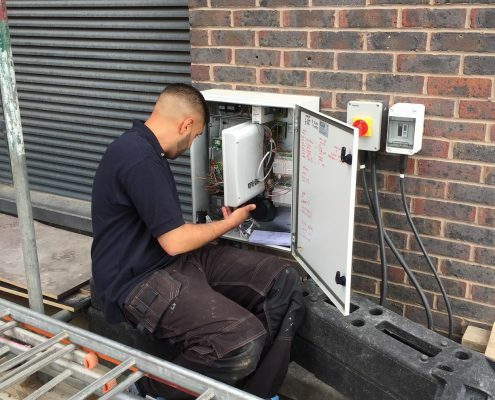 Please call us on free on 0800 195 1470 or mobile on 07951 123 321 if you need help with repairs to automated gates, servicing to keep your automatic gates working perfectly, gate automation or brand new gates.